« Announcing a HUGE tattoo giveaway! Spring has sprung, and we’re excited to celebrate warmer weather and springtime holidays. 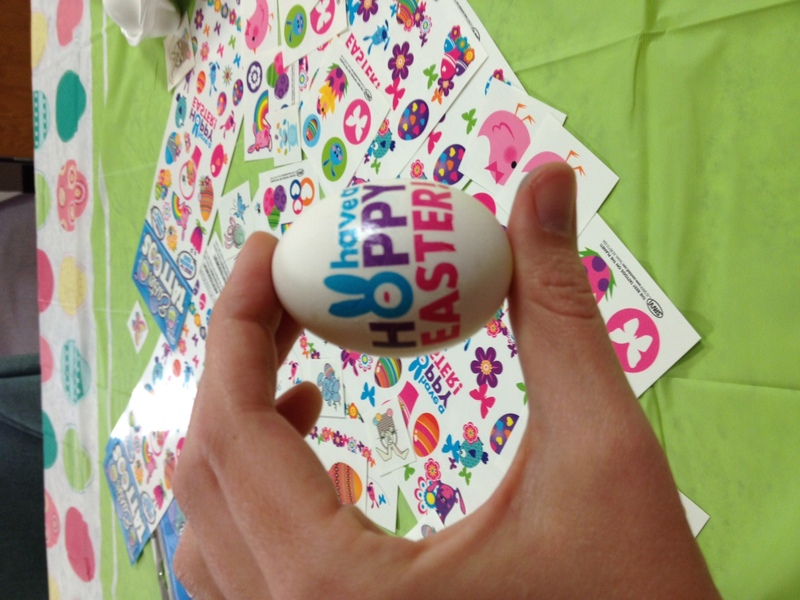 One of our favorite new spring traditions is decorating Easter eggs with temporary tattoos. We’ve heard from a lot of people with questions about using temporary tattoos to decorate eggs. We held an Easter egg decorating test-run at Tattoo Manufacturing HQ this week, and today we’re sharing our tips and tricks for foolproof (and fun!) egg decorating with temporary tattoos. First, we gathered all of our favorite Easter tattoo designs. Easter baskets, bunnies, colorful eggs, chicks, and butterflies were all invited. We also assembled vinegar and dye to color our eggs. Next, we dyed a few of our eggs. We tried applying tattoos to dyed (still wet) eggs, but we found that the tattoos stuck to the eggs much better if we applied the tattoo first, and then dunked the egg in the dye. So, we got busy applying tattoos on our eggs. First, we chose a tattoo design. Next, we centered the tattoo on the egg and dabbed the tattoo gently with a damp paper towel, moving from one side of the tattoo to the other so that the entire tattoo design stuck to the egg. Then, we peeled away the paper tattoo back – voila! – to reveal our design. Sometimes we needed a few more pats with our damp cloth to smooth out any wrinkles. Once we nailed down the perfect process, we went to town decorating the rest of our eggs. We left some of the tattooed eggs white, and dyed a few others. After a few minutes of tattooing and dying, we had an entire basket of fun decorated eggs. Temporary tattoos! Tattoosales.com has a wide selection of fun and affordable Easter-themed tattoos, from packs of 50+ tattoos to colorful egg bands to individual chicks and bunnies. Of course, all of our temporary tattoos are made in the USA, and are safe and toxin-free for your skin and for eggs. Make sure you look for temporary tattoos that are made in the USA and skin-safe! This entry was posted on March 22, 2012 at 8:00 am and is filed under Holiday Temporary Tattoos. You can follow any responses to this entry through the RSS 2.0 feed. You can leave a response, or trackback from your own site.